Using a telescope or a spotting scope can be a little troublesome because you have to keep an eye closed to view the objects. So, it is better to use a binocular which has two parallel optical tubes and enables one to observe with both wide open. Isn’t it more natural and comfortable? Binoculars use a series of lens, prisms and elements to magnify animals, things and human beings at a distance. With binoculars, you can maintain the depth of field and treat yourself to a brilliant and captivating experience of a 3D show. So, where can you find such top notch binoculars? 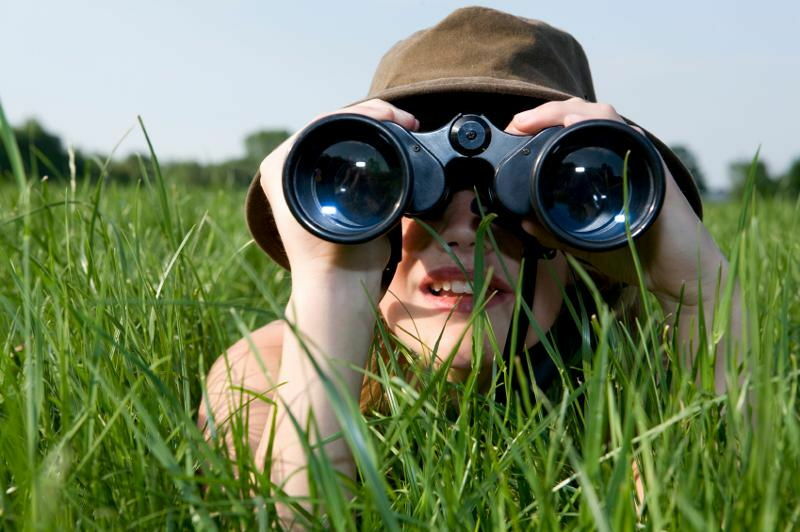 Well, there are tons of stores offering durable and advanced binoculars, specially made for your outdoor adventures. Any outdoor trip is incomplete without a binocular. Thus, you must quickly grab your binocular as soon as possible. Nowadays, you can also buy binoculars online. There are some sports equipment sites where you will find an assortment of sleeping bags, sportswear, backpacks, and other sports accessories. But if you are buying a binocular for the first time in life, you will need a proper guidance. Follow this buying guide to choose a fine quality binocular. You have to make it a point that there should be a close focus distance, preferably down to two to three meters because focusing on the subject every single time can be extremely tedious and irritating. So, you must ensure the smooth running of the central focusing wheel, thereby moving the image gradually from close focus to a long distance. Along with this, you must also simultaneously allow fine adjustments. One factor which has a great influence upon the quality of images, depth of field, brightness and field of view is the element of magnification. The general rule is that higher the magnification of the image, the darker will be the images and shallower the depth of the field, narrower will be the field of view. However, these also depend on the manufacturers so you have to compare various kinds of models with the same level of magnification. The majority of the people opt for 8x, 7x or 10x. You have to keep in mind that the binoculars must be well-balanced and also the fact that you must be able to reach the focusing wheel comfortably. Some might also have cut-away or thumb rest features on the underside portion of the barrels which will allow easy holding. You must also think about how you will be using the binoculars, whether you will be carrying it in your pocket or in the glove compartments of the handbag. Another concern should be how you will hold the binocular to your eyes for a relatively long duration without causing any fatigue to your arm. You should go for a binocular which is light in weight because it will allow you to easily carry it all throughout the day without any neck strains. The binoculars need to have a proper fit for your eye because needless to say, you have to use it for a long time if you plan to observe through a binocular in your adventure trip. Hence, the inter-pupillary distance is of utmost significance. So, you should vary the angle between the barrels via the central hinge till the point of a comfortable vision. You can vary the eye relief by bending both the eyecups up and down in order to get a clear and complete field of view. If you buy binoculars from reputed brands and reliable manufacturers, you will find long lasting and sturdy products which will add to the thrilling experience of your outdoor trip. So, even if they seem a little expensive, you must know they are totally worth the money. Author bio: Tony Rivers writes blogs on different sports equipment such as rifles, sleeping bags, binoculars etc. Here, he gives us a complete buying guide for binoculars. So, if want to buy binoculars online or otherwise, follow his blogs.